Are your kids excited for Halloween? Do they love pumpkins, black cats, candy and costumes? 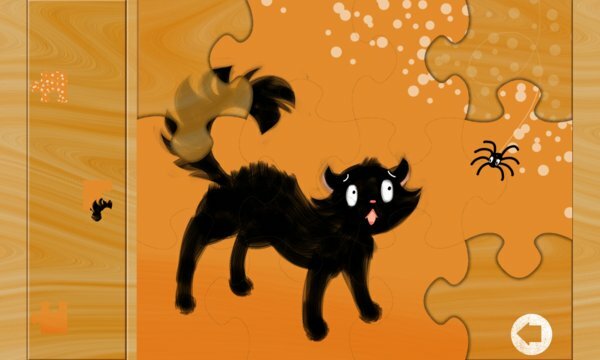 Then they will love Halloween Kids Puzzles, a fun animated puzzle game for toddlers, preschoolers, and kids from ages 1 to 6. Your kids can go trick-or-treating with a friendly Count Dracula, Frankenstein and his girlfriend, a Fairy Princess, a pirate and a werewolf! Spot carved pumpkins, black cats on fences and witches flying by the moon. All the animals get in on the costume fun- cats dress like dogs, dogs dress like cats, there's even a Unicorn Bat! You can go to a Halloween dance party- get down with the Mummy and do the Robot with a Robot. Just don't linger too near the haunted house… there might be ghosts! 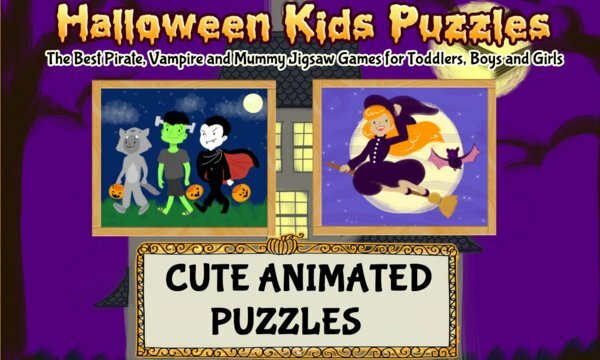 Halloween Kids Puzzles has lots of seasonal fun with nothing scary or spooky for young gamers! * 12 different Halloween puzzles to choose from! * Fun pumpkins to pop at the end of each puzzle that explode into candy corn! Please note that this is the free version with only 4 of the puzzles available.